Have you ever wondered how some photographers get those shots where everything seems to be exposed properly throughout the entire image? Do you wonder how they are able to capture such incredible detail, color and texture? Do you want your own images to jump off the screen or page like theirs? 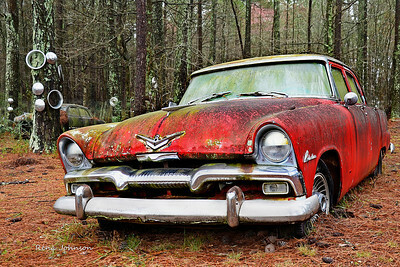 There is no better place to learn how to do that than at our Exposure and HDR Photography Workshop at Old Car City in White GA.
Capturing amazing images that have great colors. tones, highlights, shadows and definition throughout is a lot simpler than you might think. It just takes understanding exactly what is going on behind the scenes that makes it possible. That is what these workshops are all about. As soon as you sign up for the workshop of your choice, I begin working with you to make sure you have all of the tools and/or equipment that you need and if you don't, I will help guide you through picking out the best ones for your specific interests. All workshops can be done with the equipment listed in the description for each one. Beyond basic equipment needs, you will need some technical know how and tricks of the trade to be able to use those tools to capture these incredible scenes. That is where the classroom portion of each workshops comes into play. To capture truly incredible HDR images, you need to do it right from the first step of clicking the shutter, all the way through to the end of the post processing. I go over everything you will need in this session at the beginning of the workshop that takes you right up to the post processing. Then I work with each participant individually throughout the Hands-On portion of workshop to meet you where you are and help you to take your photography skills to the next level so that you can be efficient at using the tools you have. Even with the right tools and technical know how, sometimes images can still be lacking something. Maybe they just don't quite pop like you wish they did. That is where the third aspect of these HDR workshops picks up. For this part, we go back into the classroom and go over all of the techniques necessary in post processing in order to combine the unique collection of images that we shot the day before, learning to combine and process them in a way that truly makes each image come to life. When you think of HDR images, everyone gets a different picture in their mind and has a different idea of what they would like their images to look like. In this workshop, I will teach you all of the tools necessary to make your images look how YOU want them to look and give each person plenty of time to play around with your own images to come up with exactly how you want them to look. I use Photoshop as the primary program to process the images, but in a way that you can use the same techniques in a variety of other programs as well. Once you understand WHAT you are doing and WHY you are doing it, that wisdom will carry over into any program you choose to use. As a bonus, I also make it my mission to make sure that each participant gets some images that are different even from others in the same workshop, so that everyone doesn't go home with all of the exact same images. I want you to know that you have incredible images unlike anyone else's that truly emphasize your personal passion and interpretation of each scene. 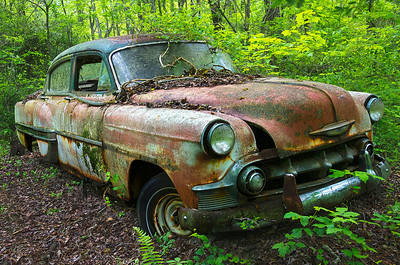 You may have seen Old Car City highlighted on Georgia Traveler or a number of other TV and Media outlets. This place is known as a photographers paradise and its easy to see why. It has over 34 gorgeous wooded acres with 6 miles of walking trails showcasing over 4000 OLD cars, trucks, vans, school buses and the assorted Budget Hotel! 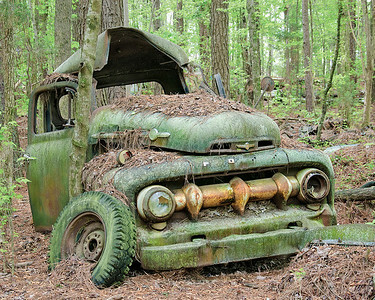 There are so many vehicles there, it would take weeks, maybe months to go through and photograph all of them. Most people never make it past the first section. Everyone who comes here for the first time, always leaves wanting to come back. So this time I have added an extra day to shooting in the park for those interested. He is closed on Sundays through Tuesdays, so I have added this bonus day to the beginning of the workshop. The primary workshop will be Saturday for classroom and shooting then Sunday for all of the post production work to accommodate those who can only attend on the weekend. Friday will be our bonus day of shooting. We will have the classroom presentation at the beginning of the Friday morning session as well so that you go into your extra day of shooting prepared to get amazing images. It will be the same presentation as the Saturday morning one, so those who attend on Friday will have the option of skipping the Saturday morning presentation and adding a bit of extra shooting on Saturday morning. Then we will ALL work together one Sunday in the production session. This workshop includes the Saturday classroom and shooting sessions, plus the Sunday Post-Production Workshop. This one includes the weekend workshop plus an additional day of shooting and additional classroom session beforehand. The classroom material as stated above, will be the same information as the Saturday morning session, so you will have the option to sit in on it again and catch anything you might have missed on Friday, since we do go over a LOT of information. Or you can skip it and add some extra shoot time to your day.